Retailers spend a great deal of time second guessing customers’ top concerns. Should they focus on developing an easy-to-use website with eye-catching product pictures? Or should the top concern be on creating interesting content that will bring customers back? Recent data from the National Retail Federation demonstrates that if a brand wants to win customers, it should go easy on their bank accounts. While there are many areas that determine whether a consumer connects with a brand online, pricing seems to be a top factor for winning their business. Of the adults surveyed, 88.6 percent of customers said product prices are either somewhat or very important when shopping online. More than 65 percent of those surveyed rated price as very important. As customers have grown more accustomed to comparing prices among various retailers, businesses have realized that even a small difference in price could send a customer elsewhere. Another one of top concerns for shoppers is shipping cost. 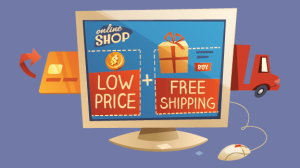 More than 80 percent of those surveyed listed free shipping as either somewhat or very important to their online purchasing decisions. As with pricing, the vast majority of respondents listed free shipping in the “very important” category. Free shipping has only increased in importance in the past five years, as more brands have begun offering it, requiring competitors to keep up. Customers also rank flexible return policies as important when shopping online, with more than 70 percent listing it as either somewhat or very important. With so many brands now offering customers the ability to return online purchases to a physical location, online retailers must offer free shipping on returns to keep customers coming back. Since pricing is crucial and the markets are so volatile, retailers may find it hard to keep up with all of their competitors’ price changes. PriceManager helps retailers by sending automated email alerts of the price changes occurring on their account on daily basis, as well as automated datafeeds. Retailers can be on top of the changing market and can react quickly to their competitors’ price drops and increases. Additionally, PriceManager makes it easier for retailers to automate price changes on their own websites. Based on the comparative data that PriceManager’s proprietary software gathers, and the pricing rules for each client, our software can feed you recommended pricing for each product. Retailers can take that information and upload it straight to their website platforms. How much easier can pricing get?